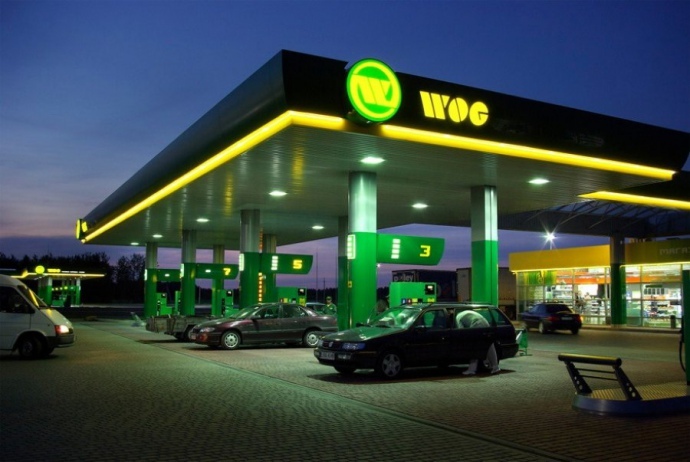 The first national network of gas filling complexes of good mood WOG announces the final stage of implementation of an innovative project to optimize processes with Apple business solutions. The innovation was mainly aimed at accelerating the operation implementation, increasing trade turnover, improving the quality of consumer services and providing modern services on the spots with no stationary trading equipment available. Within 2 years the company has gradually launched a system of data collection and management, as well as modern formats of convenient and fast customer service. To make operation processes of the network of gas filling stations automated, compact systems consisting of iPhone 5s, a multifunctional Linea Pro pistol grip (QR and barcode scanner, magnetic card reader, etc.) and ‘Exellio’ fiscal mobile registrar were purchased. The device objective functioning is provided by specially designed software. - acceleration of internal electronic communication between employees and implementation of SLA-services. - Mobile cashier’ in high-speed trains ‘Intercity’ where the assortment of WOG CAFE and WOG Market goods is sold with the help of mobile banking blutooth-terminal. Oleh Kushil, IT director of WOG’s network of gas filling complexes, explains the choice of the platform for company modernization by economic benefits and applicability: ‘In the past the reprice process took a long period of time. It included scanning, inventory accounting and manual data entry. For this reason, we started looking for solutions that would simplify and accelerate the work of the staff, and also allow us to improve the level of services our clients are given. We chose iOS mobile platform because of its high reliability and system stability, the capability of easy infrastructure integration and the flexibility to develop its own online applications for business purposes. Together with the additional mobile digital gadgets that are manufactured only for Apple products, we have got a more profitable and productive solution for optimizing our business tasks. Moreover, thanks to our partnership with ASBIS Ukraine we can count on professional warranty and post-warranty service of our corporate devices as soon as possible’. ‘Technical progress is steadily gaining momentum, and the leader of the market becomes the one who has already invested in the latest methods of enterprise management. WOG’s network is a vivid example of successful technology mastering to build a modern business model. We are proud that by joint efforts we have managed to implement an innovative Apple solutions based project of European level. We will be glad to keep an eye on the company's further advancements and transformations in order to support the customer-oriented service’, Oleksii Hrebenev, Head of Apple products corporate sales at ASBIS-Ukraine, comments. • optimization of operating costs for logistics and workplaces.